But, as the old saying goes, “it’s not what you know; it’s who you know.” Networking can be your key to success -- granting you access to a host of opportunities with jobs, investors and even customers. And, thanks to a host of advances in technology, the playing field has been leveled. Anyone can build connections and grow their network, so long as they invest enough time and resources in the right strategies. I’ve put together 16 tips to help you become a master networker. These are some of my favorite tidbits of advice I have picked up over the years, and they’ve greatly changed the way I go about meeting new people. Before I dive into any tactical strategies, I have to say this: there is a virus going around the professional world today, and it is rooted in fake and superficial behavior. Everyone is putting on a facade, trying to be the person they think other people will like. What they do not realize is that what everyone really wants to see, whether they are on LinkedIn or at a conference, is real people. Human beings enjoy talking to other human beings, not spammy advertisements or built-up personas. We want real, living people. 2. Be direct and honest. On the same note, a lot of people seem to believe that to be a good networker, you have to impress everyone else in the room. While you do want to be memorable, lying to get there is not the best strategy. It is generally easy to spot a liar. And even if people do not catch you at first, sooner or later some smart person will expose your falsehoods to the rest of your network, forever tarnishing your brand and reputation. It can be absolutely devastating. Often, professionals make networking seem transactional. The reality, however, is that building your network is about interacting with other humans. It is relationship based, not a sales product. You are not trying to sell these people anything (especially not the first time you meet them). Remember that you want these people to like you, not buy a car from you. 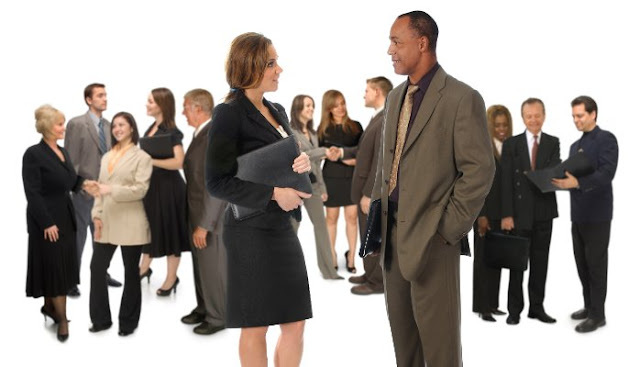 If you are attending a networking event, spend the extra 5 minutes and get there early. This does 2 things. First, it shows that you care. People who are prompt demonstrate that they are prioritizing whatever it is they are showing up to. Second, it indicates that you are organized. No one wants to do business with someone who is sloppy -- prompt people have their schedules under control. 6. Provide value for free. Once you’ve ditched the cheesy sales pitch, realize that everyone online and at these events is selfishly looking for things that further their own careers and companies. And there is nothing that these people want more than free resources! So start providing others with value, for free. After meeting someone (either in person or on the phone), jot down a few notes. Try to remember small details that the other person shared with you. Remembering simple things like what they like to eat or where they like to travel can become important bits to use in later interactions. People cannot help you if you don’t really know what you want. These are the worst type of networkers -- the people who only ask general questions without much substance. Come with a specific, concise question and you’ll find people are 10 times more likely to help you out. Don’t forget to smile! Far too many of my friends have gone all in on their work, forgetting about what is really important to them. If you are not having fun in the process, and building relationships with people you actually enjoy spending time with, then perhaps you are going about this in the wrong way. People like to hang out with people who are smiling and having fun. Just try it -- a smile doesn’t cost you anything! Many of us go overboard in trying to impress others because we think that is the best way to be remembered. While that technique sometimes works, far more often it is easier to be memorable than impressive. Being different is actually far more achievable than being the very best. Try to think of ways that you and your brand separate yourself from the crowd -- like interesting stories or unique experiences. An easy way to provide value to others for free is to become a super-connector. Once you’ve begun building out your brand, you’ll find you know lots of people who would benefit from simply talking with each other. Spend the two minutes it takes to write an introduction email, and you have just made two people’s days! This will pay off in the long run. 13. Don’t spread yourself too thin. Optimize for quality, not quantity. With the right software and strategy, it is fairly easy to throw your name out there and establish hundreds of surface-level connections. What is far more challenging, and more valuable in the long term, is establishing a few dozen close friends who you can rely on for big favors and help. You’ll find these deeper contacts to be more helpful when you need them -- the types of relationships that actually change lives. Every few weeks, you should do an internal audit of your time/network to see if you are surrounding yourself with the types of people who are (a) making you a better person and (b) challenging you in the right ways. It can be tough, but thinking about who you spend your time with to ensure you are on the right path is often extremely helpful. 15. Always remember where you started. Months from now, when you have gotten your dream job and built out a massive network, remember where you started. When you are standing on a stage talking to thousands of people, remember that not too long ago you were one of those people. Just because people do not have the fancy titles or recommended experience does not mean they are not worth talking to. Take bold bets on people out of a spirit of friendly helpfulness, and you’ll find yourself paying it forward. If you really want to get your name out there, prepare to fail a lot and be ready to rebound. You will write tons of content that you think will go viral -- but none of it will. You will pay lots of money to go to events and walk away with no value. That is the nature of the beast. If it were easy to build out a big network, everyone would do it. But it isn’t -- it’s a long-term game that you will have to compete in.